The DeadShot ChairPod provides true benchrest accuracy from a single shooting unit. No need to bother with carrying chairs and separate rests out to the ground blind or the range to sight-in your weapon. 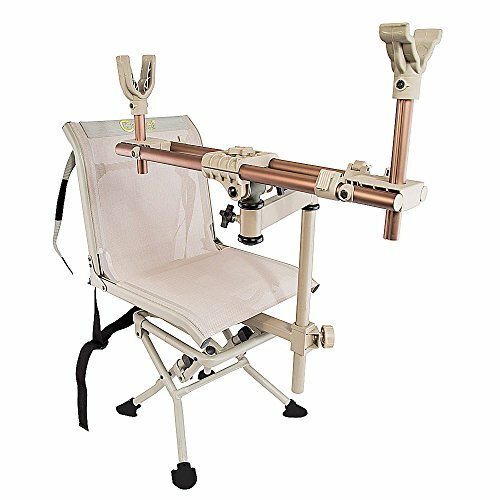 The ChairPod provides all of that in one package with its heavy-duty chair with a built-in post and sing arm assembly that fully supports your weapon front and rear.